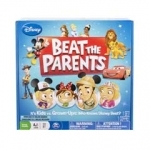 Purchase Disney-themed board and trivia games, for kids and kids-at-heart! Prices shown are accurate as of Dec 23, 2017 17:58pm CST. Please follow the links for current pricing.